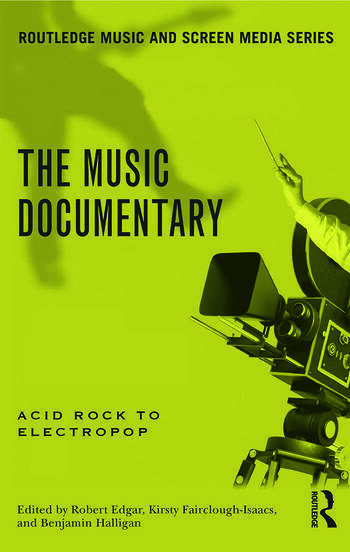 The Music Documentary offers a wide-range of approaches, across key moments in the history of popular music, in order to define and interrogate this prominent genre of film-making. The writers in this volume argue persuasively that the music documentary must be considered as an essential cultural artefact in documenting stars and icons, and musicians and their times – particularly for those figures whose fame was achieved posthumously. In this collection of fifteen essays, the reader will find comprehensive discussions of the history of music documentaries, insights in their production and promotion, close studies of documentaries relating to favourite bands or performers, and approaches to questions of music documentary and form, from the celluloid to the digital age. Robert Edgar is Head of the MA programmes in Film and Documentary at York St John University. Kirsty Fairclough-Isaacs is Lecturer in Media and Performance in the School of Media, Music and Performance at the University of Salford. Benjamin Halligan is the Director of Postgraduate Research Studies for the College of Arts and Social Sciences, University of Salford. Publications include Michael Reeves (2003) and Reverberations: The Philosophy, Aesthetics and Politics of Noise (2012).